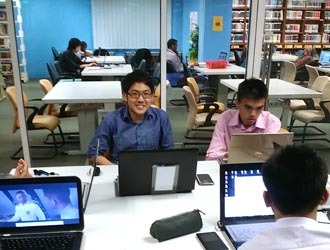 Students after SPM or O-Levels interested in pursuing a degree in Mobile Computing may go for the Foundation in Computing & Technology or Foundation in Information Technology (IT) at a top private university in Malaysia for 1 year before continuing on to the 3-year Mobile Computing degree programme. With 3 credits in SPM or O-Levels including Maths, students may go for the 2-year Diploma in Information Technology, Diploma in Computer Studies or Diploma in Computer Science and then enter into Year 2 of the Mobile Technology degree. Pre-University students with the relevant results in STPM, A-Levels, SAM, CPU, AUSMAT, etc. can enter directly into Year 1 of the Mobile Computing Technology degree. The usage of smart phones that are increasingly becoming a combination of computer, camera, video recorder, GPS, PDA, and other functions. These functions run on computer software and hardware. The software for smart phones are different from that of the PC or MACS, therefore, needs a new generation of Information Technology (IT) professionals trained in modern mobile computing systems and technologies. The degree in Mobile Computing will surely see its demand increase as there will be plenty of jobs available in Malaysia and globally. Mobile computing is the ability to use technology that is not physically connected to static environments. It involves mobile hardware, mobile software and mobile communication. The hardware includes mobile devices or the devices components while mobile software deals with the mobile applications. Communication issues include ad-hoc and infrastructure networks including communication properties, protocols, data formats and concrete technologies. Students will learn about the project management of computing projects, mobile security, the deployment of mobile computing systems, and mobile computing systems and infrastructure. It is important for students to understand how mobile computer systems are developed and learn how to design and build them to meet the needs of the real business world. Students will need to be trained to understand the modern wired and wireless communication technologies and the software tools and techniques required for the development of modern enterprise computing systems including mobile components. Having won hundreds of awards in computing and IT in Malaysia and globally, Asia Pacific University is the best university in Malaysia to study Information Technology (IT) with the specialism in Mobile Technology. Students need to choose the best university in Malaysia to study Mobile Technology so that they can gain the necessary knowledge and skills to succeed in the competitive world of IT. Students after SPM or O-Levels may go for the Foundation in Computing at Asia Pacific University for 1 year before continuing on to the 3-year UK Dual Award BSc (Hons) in Information Technology with specialism in Mobile Technology degree. With 3 credits in SPM or O-Levels including Maths, students may go for the 2-year Diploma in Information & Communications Technology or Diploma in Information & Communications Technology with specialism in Software Engineering and then enter into Year 2 of the Mobile Technology degree at top ranked Asia Pacific University. Pre-University students with the relevant results in STPM, A-Levels, SAM, CPU, AUSMAT, etc. can enter directly into Year 1 of the BSc (Hons) in Information Technology with specialism in Mobile Technology degree. The Dual Degree Programmes are offered through a unique collaborative partnership between Asia Pacific University (APU) and Staffordshire University, United Kingdom, through which Staffordshire accredits undergraduate programmes that are designed and delivered by APU. On completion of the programme, students will be awarded two undergraduate degree Certificates and Transcripts: one from APU and one from Staffordshire. Asia Pacific University (APU) is ranked as Excellent or Tier 5 in the SETARA 2013 rating by Malaysian Qualifications Agency (MQA). An impressive 95% of APU’s graduates obtain jobs before graduation. Asia Pacific University is the best choice for students wanting a top UK Dual Award degree in mobile technology or mobile computing in Malaysia. The School of Computing & Technology at Asia Pacific University (APU) is the oldest and most established school. The school has a strong presence in the industry and is an obvious choice among the school leavers. The school offers a wide variety of specialised programmes. Asia Pacific University’s programmes are very much industry driven and relevant and our graduates are global citizens and industry ready. Alumni of the School have progressed into a number of significant careers in leading multinational technology based companies. In line with APU’s vision, the School aims to be a leading provider of high quality computing and technology education and a contributor to research at the national and international level. benchmarked Technology education and to be recognised for innovative teaching methods and educational activities. The Information Technology degree and all of its specialisms have similar modules in Level 1. Modules that provide a foundation for any IT professional include System Analysis & Design, Fundamentals of Software Development, and Introduction to Programming in an appropriate language. More technical knowledge and skills are developed in Operating Systems & Computer Architecture and Introduction to Networking. Introduction to Management and Computing & IT in the Workplace provide a foundation for multidisciplinary education and understanding personal and organisational development. Important and relevant skills for independent learning are introduced throughout this level. Further in-depth analysis and design skills are developed here through System Development Methods, Web Applications, and Computer Games Design. Specific computing skills are developed in Object Oriented Development with Java, Programming Concepts in C++, and System Programming & Computer Control. Specific technical knowledge and skills related to Mobile Technology are enhanced at this level through the Fundamentals of Mobile Computing and Mobile & Wireless Technology modules. Along with independent learning, a common theme in all APU ICT awards is fostering creativity and innovation in individuals and teams. These themes are the specific focus of the Creativity & Innovation and Research Methods for Computing & Technology modules. After the completion of Level 2 students will undertake a short Internship / Industrial Training. This will prepare them for a smooth transition from the classroom to the world of Information Technology. Specific skills in the area of Mobile Technology are developed through Software Development for Mobile Devices, Mobile & Web Multimedia, Mobile Multimedia & Gaming, Advanced Wireless Technology, and Enterprise Programming for Distributed Applications. 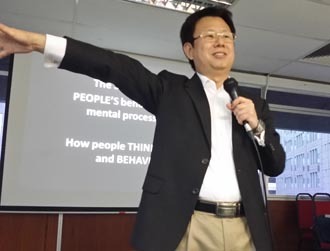 General personal and professional development is enhanced in Project Management, while Innovation Management & New Product Development continues the theme of generating new ideas and creating new products. The Investigations and Project modules provide opportunity for students to further develop the academic and practical aspects of their areas of study and reinforce their independent learning skills. Furthermore, the major project that students are expected to do, will entail extensive research in domain knowledge and acquiring of skills in using tools and methods in the particular specialism. The significant aspect of this level is the demonstration of higher level critical thinking, analysis and application in the award project. Your specialist knowledge of design issues in the mobile communications sector, with its developing needs for hardware, software and systems will make you highly sought after in the fast-moving and growing sector. The Asia Pacific University of Technology and Innovation (APU) is acknowledged to be one of Malaysia’s premier University of higher learning for technology. 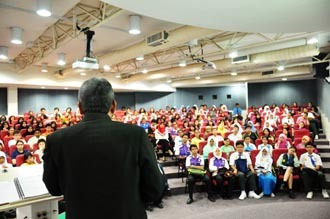 Since its inception in 1993 as the Asia Pacific Institute of Information Technology (APIIT), the University has produced more than 16,000 highly skilled technology professionals in Malaysia and the Asia Pacific region, and has earned a reputation for excellence in education and research and development. APIIT & APU had continuously wins awards for excellence in education, research and development and for the achievements of their students. studying in its Malaysian campus, APU offers a truly cosmopolitan learning environment which prepares students well for the global challenges which lie ahead. APU offers a wide range of degrees with Technology as a common core. It is APU’s aim to nurture and encourage innovation through our programmes, with the intention of producing individuals who will learn, adapt and think differently in new and better ways. An impressive 95% of APU’s graduates obtain jobs before graduation. Students interested to register at APU may go to this link. 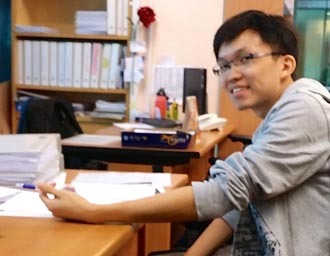 The Bachelor of Computer Science (Hons) Mobile Computing and Networking programme at UCSI University will furnish students with a strong grounding in the technological aspects of specially designed courses such as software management and operating systems, databases, networks as well as programming, among others. UCSI University students will learn the fundamentals of problem-solving, network designing and database management, and will develop deeper understanding of the key principles applied in mobile computing. 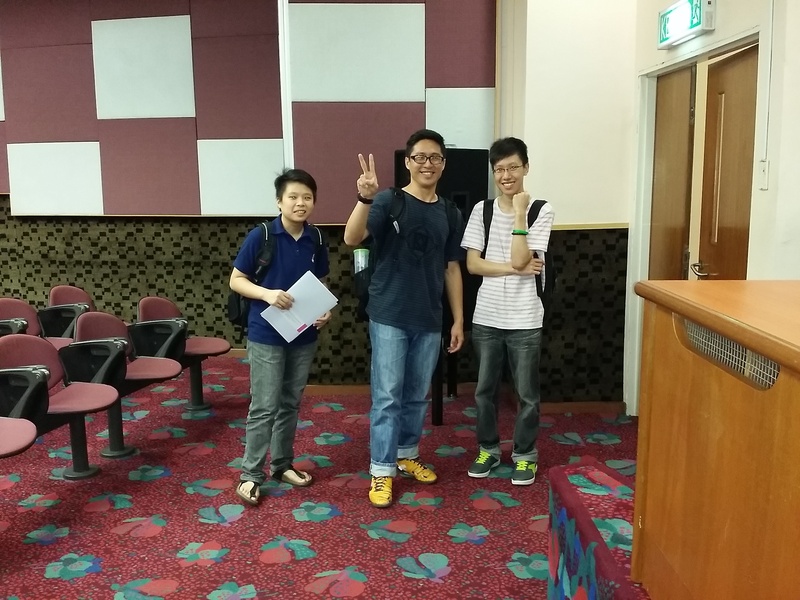 Bachelor of Computer Science (Hons) Mobile Computing and Networking Students at UCSI University will be tested on their understanding of key principles, fact and theories, and will demonstrate their skills in system design, development and management. Students with at least 5 credits in SPM or O-Levels can go for the Foundation in Arts at UCSI University for 1 year before continuing on to the Bachelor of Computer Science (Hons) Mobile Computing and Networking degree at UCSI University. With more than 30 years of education experience, UCSI University provides an affordable degree in mobile computing and networking supported by excellent facilities. Students will enjoy the wide range of sports facilities as well as interact with students from more than 80 countries. UCSI University is ranked in the Top 300 Universities in Asia in 2015 by the renown QS University Rankings. UCSI University is ranked as Excellent or Tier 5 in the SETARA 2013 rating system by MQA. Mobile computing refers to a variety of devices that allow people to access data and information from wherever they are. Sometimes referred to as “human-computer interaction,” mobile computing transports data, voice, and video over a network via a mobile device. Mobile devices can be connected to a local area network (LAN), or they can take advantage of Wi-Fi or wireless technology by connecting via a wireless local area network (WLAN). With the rise of smart phone usage in Malaysia and globally, there is an increased job demand for trained professionals in Mobile Computing. One of the areas that the UC will emphasize as part of mobile computing is Internet of Things (IoT) which is the next big thing in emerging technology of the future. The programme will create a platform to build, launch and manage IoT applications and solutions. Internet of Things is one of the five focus areas which MDeC have deemed to be future proof for growth in this industry. 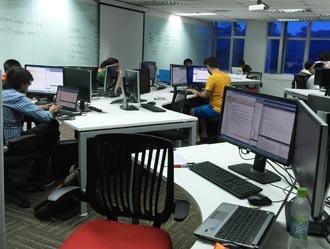 Students after SPM or O-Levels interested in pursuing the Bachelor of Information Technology (Mobile Computing) (Hons) at First City University College may go for the Foundation in Engineering, Science & Technology for 1 year before continuing on to the 3-year Mobile Computing degree programme. The Foundation in Engineering, Science & Technology course at First City University College is affordable and taught at its purpose built campus in the safe township of Bandar Utama in Selangor. Alternatively with 3 credits in SPM or O-Levels including Maths, students may go for the affordable Diploma in Information Technology (Mobile Computing) programme and then enter into Year 2 of the Mobile Computing degree. Pre-University students with the relevant results in STPM, A-Levels, SAM, CPU, AUSMAT, etc. can enter directly into Year 1 of the Mobile Computing Technology degree at First City University College. Mobile computing refers to the ability to use technology to wirelessly connect to and use shared information and/or application software through the application of small, portable, and wireless computing and communication devices. In the first year of the Bachelor of Information Technology (Mobile Computing) (Hons) at First City University College, students learn key knowledge and skills in Information Technology which covers programming fundamentals, platform technologies, information management and mobile computing. After that, they move on to cover advanced topics on Programming and Technologies, while familiarising themselves with the concept of business intelligence, which combines both the business world and the technical world using technologies, applications and practices. Duration for the Bachelor of Information Technology (Mobile Computing) (Hons) at First City University College is 3 years (6 semesters) with intakes in January and August of each year. First City University College provides a safe off-campus accommodation which is just across the road. Deserving students can apply for the scholarships as well. Students interested to register for the Mobile Computing degree at First City University College may do so at this link. First City UC’s Faculty of Engineering and Computing offers four home-grown programmes; all specially-crafted to meet the demands of the fast-changing industry which is constantly innovating itself to keep up with the digital world. These brand new programmes: Bachelor of Electronic Engineering with Honours, Bachelor of Software Engineering (Hons), Bachelor of Computer Science ( Intelligent Systems) (Hons), & Bachelor of Information Systems (Honours) in Business Management equip students with skills and techniques in programming, application development, information analysis and many other applications of IT in various industries that are relevant to the demands of employers around the world. The curriculum for Electronic Engineering degree programme is approved by the Board of Engineers Malaysia (BEM); therefore providing students with a clear pathway to achieve professional engineer status. With the use of advanced software tools and commercial products in its state-of-the-art engineering and computing laboratories such as Mainframe Computing Technology and Mentor Graphics, students can experiment and develop their practical skills while being guided by attentive lecturers and tutors. First City UC works closely with key players in the IT and electronics industry, one of which was the Memorandum of Understanding (MoU) signed with IBM Malaysia in 2016 to renew its academic collaboration to embed IBM technologies into First City UC’s ICT curriculum and equip its undergraduates with cognitive computing skills. Since the establishment of the MoU in 2008, First City UC has produced high calibre graduates equipped with professional IBM certification. Under this collaboration, First City UC provides teaching resources and facilities, whilst IBM provides leading software, courseware, training and testing necessary to gain certification. First City UC has adopted IBM curriculum in their Software Engineering and Computer Science (Intelligent Systems) degree programme, where students have the opportunity to work on Large Scale Computing, Cloud Computing and Mobile Platform Programming and apply the techniques they learnt to develop a broad range of software relevant to the ICT industry. Why Study Information Technology at First City UC? Foundation/ Matriculation: Pass with minimum CGPA 2.0 + credit in Mathematics at SPM level or its equivalent. STPM: Pass with a minimum Grade C (GP2.0) in any 2 subjects + credit in Mathematics at SPM level or its equivalent. Diploma:In Computer Science/Software Engineering/ Information Technology/Information Systems with a minimum CGPA 2.5+ credit in Mathematics at SPM level or its equivalent. Candidates with CGPA below 2.50 but above 2.00 with credit in Mathematics at SPM level or its equivalent may be admitted subject to an internal assessment process;ORAny other Diploma in Science and Technology with a minimum CGPA of 2.50 may be admitted subject to an internal assessment process and a credit in Mathematics at SPM level or its equivalent. compliance with the requirements of the Malaysian Qualifications Agency (MQA) and the constant monitoring carried out by the College’s very own Quality Assurance Department and FCUC’s foreign university partners. Mobile computing is now one of the preferred modes of communication amongst the younger generation who highly prioritise “portability”. 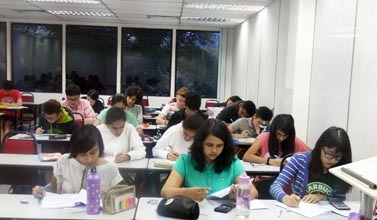 The Bachelor of Computer Science (Hons) Mobile Computing and Networking programme at UCSI University will furnish students with a strong grounding in the technological aspects of specially designed courses such as software management and operating systems, databases, networks as well as programming, among others. The Bachelor of Computer Science (Hons) Mobile Computing and Networking course at UCSI University seeks to develop the students’ programming skills in the areas of network and multimedia, placing great emphasis on the latest mobile technologies as well as providing graduates with the skills and knowledge to contribute significant efforts as computing professionals within the global community. In the first year, you will be introduced to and learn skills in computing, programming, communication, principles of networking and marketing. You will work with fundamental computer-based systems components, and use these for experiments throughout the course. In the second year, you will develop your networking knowledge and skills, which will enable you to implement, exploit and manage complex systems. You will study the technology of wireless communication which is beginning to appear in all manner of products and be able to design and improve mobile computing products to achieve a specific function. You will have access to a lab where you can design and configure systems with a range of network technologies. You will undertake group work to develop your skills in working with others on an integrative technical project. applications, to enable you to manage the complete design of mobile computing systems. You will learn how to manage and optimize networks through the use of advanced design and simulation software, complemented with options in network security or multimedia. HELP University offer great facilities, supported by excellent lecturers, and their courses are accredited by MQA and recognized by the Ministry of Education. Scholarships are available to deserving students. Affordable hostel accommodation is available. a. Industry Advisory Board (IAB) provides advice to align curriculum with industry’s needs to ensure graduates’ employability. c. Expert guest lecturers from the industry. An Industry Advisory Board (IAB) was established by the Department of Information Technology (ITD) to ensure that the IT programs offered are relevant and effective for its undergraduates; and to strengthen the department’s ties with the computing industry. The IAB consists of senior industrialists and professionals with local and global representation eg HT Consulting, IBM, Microsoft, TMS, DiGi and Gamonster. The IAB advises on course content in the context of industrial trends and employment prospects, and supports ITD’s activities in placing undergraduates in internship programs and graduates in employment upon graduation. The IAB also provides advice on research activity and opportunities. 99.99% employability for graduates. 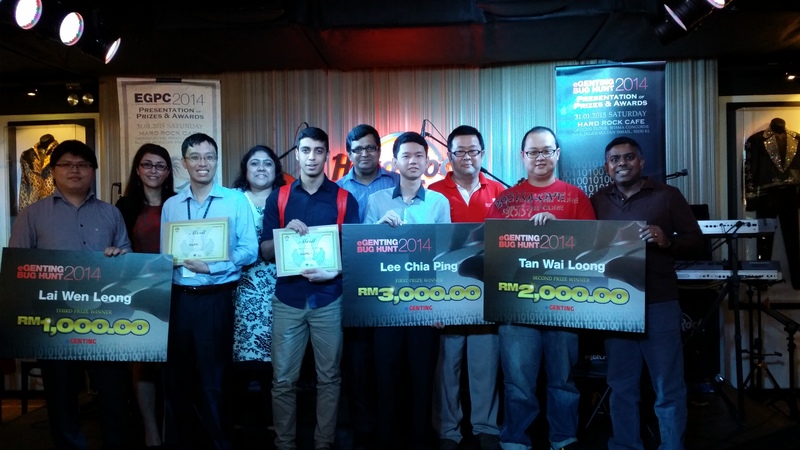 HELP University’s IT graduates have been employed by Accenture, Shell, Astro, Star, Maxis, HP, Intel, Citibank, IBM, etc. Job assistance from HELP University and internships are available for our graduates via industry linkages and career exposure. Our students are highly sought after by leading companies. 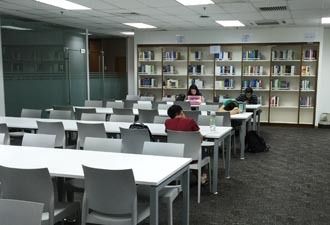 Some of HELP University’s students have been employed by Accenture, IBM, Citibank, Maxis Communications, IBM, Motorola Malaysia, HSBC (China), MIMOS, Sapura Holdings, Broadcast Network Systems (ASTRO), Shell, HP and many others. 3. 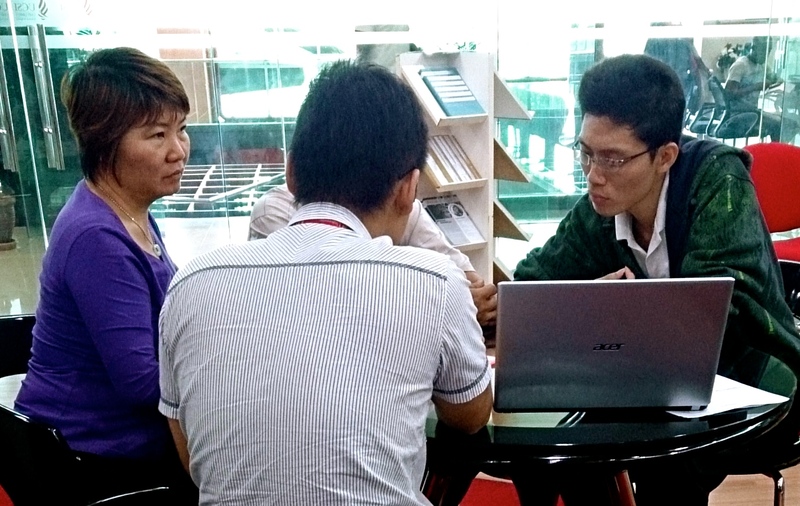 Low lecturer-student ratio for the IT course at HELP University – ranging from 1:5 to 1:20.
a. 80% of lecturers with over 10 years teaching and industry experience. b. All lecturers have Masters qualifications. Industry strength final year projects ~ students are provided opportunities to work on industry strength projects with industry partners.